The Installation Path step of the wizard is available if you have selected to configure installation settings manually. At the Installation Path step of the wizard, you can choose the installation folder for the Veeam Backup & Replication console. On the right of the Install Veeam Backup & Replication Console to the following folder field, click Browse. In the Browse for Folder window, select the installation folder for the product. 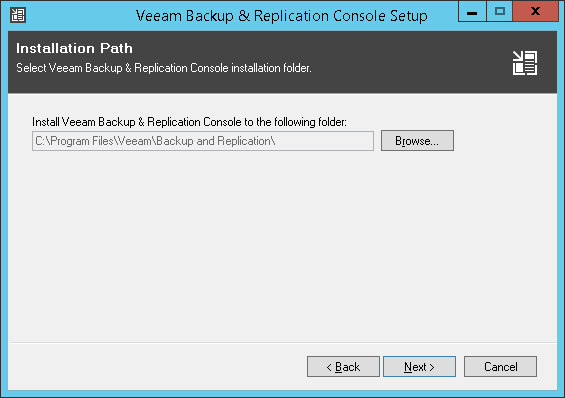 The default folder is C:\Program Files\Veeam\Backup and Replication\.